Mom's Guide 2018: What's The Best Baby Wipe Warmer? Mom’s Guide 2018: What’s The Best Baby Wipe Warmer? If you were a precious little baby, you wouldn’t want a cold, wet wipe on your soft baby skin, would you? I know I sure wouldn’t. I mean, I don’t even like the feel of it on my hands, so I can only imagine how it feels to a tiny infant. Brrrrrrrr. The solution to this is a baby wipe warmer; these are inexpensive devices that hold the wipes and keep them nicely warmed up. 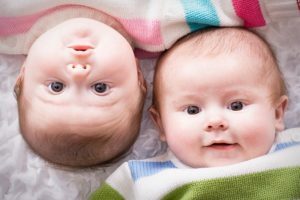 Now, these obviously aren’t an absolute necessity, and a lot of parents consider them a gimmick, but they do what they’re supposed to do, and if you’re worried about wipes being too cold, a good wipe warmer is the answer. 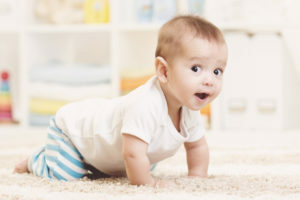 You might be thinking that a wipe warmer is the ideal breeding ground for mold and bacteria. I thought so too at first, but it turns out that the best wipe warmers are designed not to let this happen. It’s some kind of anti-microbial additive. The Munchkin Warm Glow (click here to check price on Amazon) is a great wipe warmer. 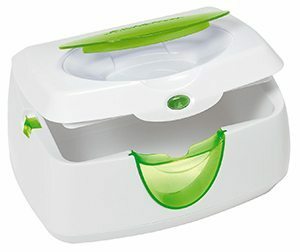 It has a see-through door on the front so you can see how many wipes are left; this is an excellent pro that the Prince Lionheart warmers don’t have. This will also work with cloth wipes, for those of us that use them. It heats from the top, so the ones on top are always nice and warm. The downside to this is that it tends to dry out the top wipes if you don’t use them for an extended period; 24 hours or longer. If you’re going to be leaving home for that long, just unplug the unit, and they should be okay. They designed it so that it quickly disconnects from the machine itself instead of crawling on the floor, grasping for cables like a madwoman. It has a night light that can be turned off, making it pleasant to use for late-night diaper changes. Don’t think that it functions as an actual night light, though; it’s only bright enough to be able to locate the unit in the dark. The upside is that it’s not going to disturb your baby at night. Like the Prince Lionheart, you should only put a portion of the wipes in at any given time, and store the rest in a ziploc bag. The way these machines work, it’s the best way to use them and make sure the wipes won’t dry out or start to develop bacteria. There aren’t a lot of wipe warmers on the market, but the Prince Lionheart Ultimate wipes warmer (click here to check price on Amazon) is a great little unit. It’s also what I would consider to be the best wipe warmer for cloth wipes and washcloths. It is molded with an anti-bacterial additive to eliminate the risk of mold and bacteria, and it has excellent ratings (for the most part) on mommy forums and sites. The way these work is with a sponge (they call it a “pillow”) that sits at the bottom of the unit holding in water to keep the wipes moist and warm. Unlike other brands of warmers, Prince Lionheart seems to be the only one that has a replaceable pillow, and you really should be replacing it every once in a while to make sure it stays clean, and there is no bacterial growth. The ideal way to use a warmer like this is not to pack it completely full; put in maybe 1/3rd of the pack of wipes in at a time, and put the rest in a ziploc bag. This will make sure the bottom wipes stay fresh and don’t turn brown, which is always a risk in a baby wipe warmer. There are other Prince Lionheart warmers on the market, but I couldn’t recommend them. 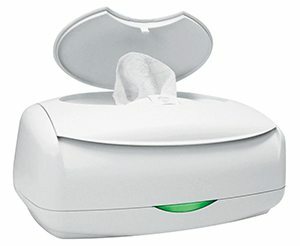 They have various issues that just aren’t worth dealing with, but the Ultimate wipes warmer is a great machine that you should be happy with.